If you’re unsure about the extend of your IP rights, chances are other people are wondering the same thing so please feel free to shoot your questions either in the comments section below or on our forum. The best questions (and their answers) will be published in a Part 4 of our Copyright Basics series. You perfectly explained the differences in the abovementioned link. But as a freelance graphic designer I’d like to see some examples of how I can grant rights in my work to others. Example: I have designed a logo for the client. He asks for “copyright transfer agreement”. As he paid my fees in full, I’d like to either make him an exclusive licensee or assign all the rights to him – and I’d love to see an example of both, if possible – as CC licencing wouldn’t work here. send me your email address by twitter DM and I’ll let you in on some agreements we’ve been working on but are yet to release. Is posting music youtube clips on my facebook wall illegal? Can I be sued for that? There is this function that youtube provides for sharing music video clips. I personally know that basically everyone shares and posts these clips on their walls, but isn’t that illegal, and if so, can I be fined or sued for posting youtube videos of my favourite music bands on my facebook wall? Thats actually a very good question and a hot topic. I predict Pinterest is heading towards some serious copyright infringement issues by making copies of images on their own servers. With regards to youtube, its a little different, as Youtube, by allowing you to share on Facebook, is implicitely granting you a right to do so. I believe that if the person who uploads the video doesnt want it to be shared, they can tick a box and you wont be able to share. Also, Facebook isnt making a copy of the video on their servers, merely embedding a code provided by Youtube (and I believe YT is able to make money from ads displayed in the videos on FB). Thank you so much for the information. I have a question. I recently entered a logo design competition with 99Designs. The contest holder wanted the Vitruvian Man by DaVinci incorporated. It came down to me and one other finalist and I found the design he submitted was a copy of a drawing that another artist did of the Vitruvian Man he found on a stock photo site. I reported the design and 99 deemed it acceptable due to being in public domain. Here is a pic of the original, the rendering of the artist on the stock photo site with copyright info, and the design that was submitted in the contest. Am I missing something here? How could this be considered public domain and not copyright infringement? 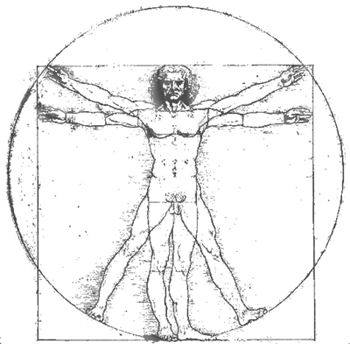 I didn’t receive the attachment, but the Vitruvian man is clearly in the public Domain and therefore has no restrictions on copyright. You could try take it up with the stock photo site and see if they are willing to fight it. Id like to ask a question regarding copyright. Id like to use an image of some abandoned church I’ve found. But what id like to know is the following. can anyone claim copyright over a public building,since its not his private property?The photographer says its his photo and has copyright, but I also went to the location and took a photo myself exactly almost the same angle,so can someone please shed some light in this grey area. If you are deliberately copying his angles and lights, then you would be infringing on his copyright; If you are using his picture without his consent, then again you are infringing. If you are merely “inspired” and take a vastly different shot, then you should be in the clear. Best is to give the picture your own twist of creativity. If you are an ‘artist for hire’ in the US the client owns the oriniginal artwork and can reproduce as they see fit . However I was wondering is there another way I can allow them to reprint etc using my art without having the original ? Its a tough situation, especially since its not dealing with online files, so you cant invoke DMCA. My best advice is to schedule an appointment with a local lawyer who can draft a cease and desist letter threatening the printer. Hi. Recently I took a picture of a dress through a store windows. And a photo of a coffee store because I liked the way they stacked things. Can I post photos of things I from public places, malls and stores? Can I post photos with names those places in them? Thank you! As long as you are not hurting the brand or making commercial use of the pictures, then you are in the clear. If the store is the main element of an image which you exploit commercially, you will then need a release from the store owner, like you would get a model release if it were a person.